R. Luther discovered asteroid #57 Mnemosyne. 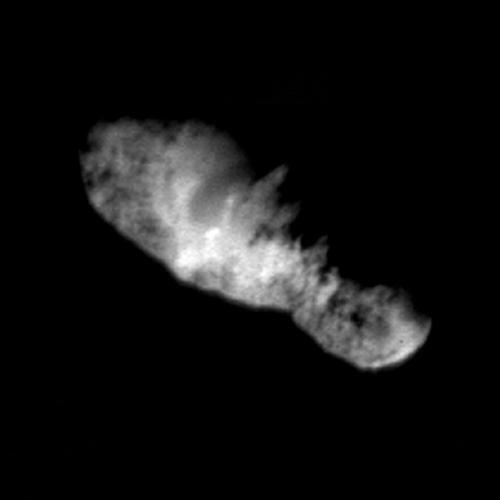 C. H. F. Peters discovered asteroid #75 Eurydike. C. H. F. Peters discovered asteroid #190 Ismene. J. Palisa discovered asteroid #242 Kriemhild. A. Charlois discovered asteroid #337 Devosa. P. Gotz discovered asteroid #1418 Fayeta; R. S. Dugan discovered asteroid #517 Edith. P. Gotz discovered asteroid #576 Emanuela. M. Wolf discovered asteroid #884 Priamus. K. Reinmuth discovered asteroids #2623 and #2637 Bobrovnikoff. K. Reinmuth discovered asteroids #1100 Arnica, #1101 Clematis, #1913 Sekanina and #3415 Danby. Y. Vaisala discovered asteroids #1496 Turku and #1497 Tampere. The first automatic-pilot flight over the Atlantic Ocean was made when a Douglas C-54 Skymaster flew "No Hand on Controls From Newfoundland to Oxfordshire--Take-Off, Flight and Landing Are Fully Automatic" as reported by the New York Times 23 September. J. Dobrzycki and A. Kwiek discovered asteroid #1572 Posnania. Goethe Link Observatory discovered asteroids #1955 McMath and #2007 McCuskey. Purple Mountain Observatory discovered asteroid #2719. NASA and the USAF launched X-15A-2 Infrared Scanner test mission # 149 in which Robert Rushworth attained a maximum speed of 5713 kph (Mach 5.18), and reached a maximum altitude of 30.571 km. NASA's Surveyor 2 impacted the Lunar surface (predicted time) after a midcourse correction maneuver failure left the spacecraft tumbling out of control. Japan launched the Ohsumi 4 technology satellite from the Uchinoura Space Center on a Lambda 4 booster, but the satellite did not reach orbit because of a fourth stage control system malfunction after the third stage collided with the fourth stage. The USAF launched the KH-4A 1052 photo surveillance satellite from Vandenberg AFB aboard a Thor Agena D rocket. It was the last of the KH-4A missions. All camera systems operated satisfactorily. A global Martian dust storm began which affected the USSR Mars 2 and Mars 3 missions and the NASA Mariner 9 mission. Earth-based observations of Mars determined that a global Martian dust storm had started on 22 September 1971. When NASA's Mariner 9 arrived at Mars and entered orbit on 14 November November it found no surface details were visible. NASA reprogrammed the probe to wait until the storm was over before continuing its studies. The Soviet Mars 2 probe arrived on 27 November 1971, releasing its lander as per its hard-coded instructions. Possibly because of infiltration by atmospheric dust, the parachute system failed to deploy, and the lander crashed on Mars at an unknown location. No contact with the lander has been made. N. Chernykh discovered asteroids #2726 Kotelnikov, #2727 Paton, #2728 Yatskiv, #2746 Hissao, #2952 Lilliputia, #3191, #3242 Bakhchisaraj, #3261, #3323, #3399 and #3601. During the 2h 41m Skylab 3-3 EVA, Skylab astronauts Bean and Garriot replaced the film cartridges for the solar camera. USSR launched Prognoz 6 from Baikonur to investigate solar radiation and plasma fluxes and magnetic fields in circumterrestrial space, in order to determine the effects of solar activity on the interplanetary medium and the magnetosphere of the Earth. Z. Vavrova discovered asteroid #3149 Okudjeva. E. Bowell discovered asteroids #2816 Pien and #3077 Henderson. The Galaxy 2 communications satellite was launched from Cape Canaveral, Florida, and positioned in geosynchronous orbit at 74 deg W.
T. Schildknecht discovered asteroid #3366. NASA's STS 51 (Discovery 17, 57th Shuttle mission) ended after carrying ACTS/TOS and the ORFEUS-SPAS experiment platform to space. A Soyuz booster launched from Baikonur carried four Globalstar communications satellites (Globalstar 33, 50, 55 and 58) into orbit. After placing them in their operational orbit, the Ikar upper stage made a deorbit burn and re-entered on 24 September. NASA's Deep Space 1 spacecraft passed the nucleus of comet Borrelly at a distance of 2171 km.